In the last hour the cameras have gone. Finally. The news crews, interviewers and other bizarre creatures of the Capitol have faded away into the darkness, leaving only silence and fear. Well, in our household that is. I’m sure – even though no one would say it – there is relief in many homes across the seam tonight and I don’t blame them, we’ve felt the same every reaping day for the last five years: sorry for them, but glad it’s not us. But now we’re them, Mother and I.
Katniss asked us to be strong. I think she meant Mother more than me. Mother will try I think, but I’m not sure she’ll be able to do this. I’ll have to do it for both of us. She’s not crying anymore, so I left her in the kitchen, sitting beside the table with our untouched reaping ‘feast’ laid out beside her. I had to get away from there before I began to scream: inside my head, all I could think was that this was the same table I’ve seen bear death, suffering and pain throughout my childhood. The two things kept crashing over themselves: the reaping – death – pain – the reaping. It seems so wrong that anyone – but especially Katniss – should have to face all that and worse, thousands of miles away from home and the people who love her. So here I am, sitting outside The Hob in the cold, invisible beneath the thick night that’s covering District 12. I wonder if other Districts are like ours? Blanketed in smoke from coal fires or maybe they are warmer, brighter, cleaner? 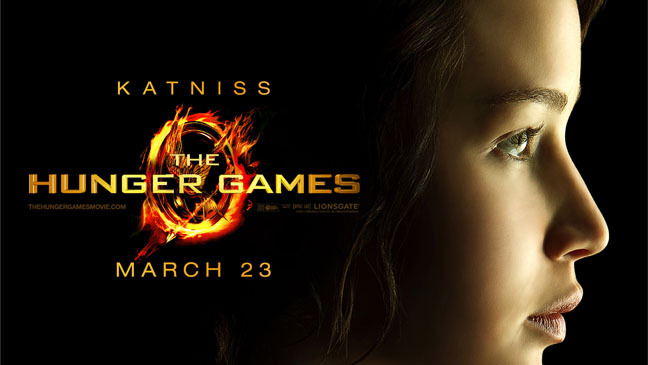 What kind of people will Katniss meet tomorrow when she reaches the Capitol? I’ve seen them over the last couple of years of course during the Hunger Games, but today I’m struggling to remember anything much. There was that girl though, the little one they named as Rue. Was it District 8…District 11? Twelve years old and small, just like me. But no one stepped forward for her. She wasn’t pulled aside so that her sister could take her place. My eyes slid shut, then slowly open again. Even natural movements like blinking feel forced and excruciating. Now I’m staring blankly into the black at an empty wall, but my head is full of pictures. I can see Gale – looking right through me as he left our house this evening. I don’t believe that he wishes it were me, I just think he wishes it wasn’t anyone. He didn’t speak when the news people were around, which was probably a good thing because he looked like he was on the edge of control. And I’ve heard him say things secretly to Kat before, which would not go unpunished had anyone else ever heard them. So I’m glad he stayed quiet. If Gale had been able, I know he would have bolted to the woods – it’s where Katniss would have wanted to go if their positions were reversed – but there was nothing normal about today. Capitol guards swarmed around District 12 in the aftermath of the reaping, preventing anything even bordering on subversive behaviour. So Gale was trapped like the rest of us. In my chest there’s a hollow space. It feels like there should be something inside there, but I’m really not sure what. At first I thought it was my heart – I felt something a little like this before, when Dad didn’t come home from the pit. But then I realised it wasn’t quite the same. And now I think perhaps it’s my soul that has gone. Because it happened in the instant after Kat called my name. It happened the second my fear became relief. Does this make me a bad person? As bad as the people sitting in the homes that surround me tonight, thankful that themselves and their children have been spared? None of us are at fault. Surely to feel relief in being saved from certain death is not wrong, just natural. We cannot help feeling guilt for surviving, can we? But we shouldn’t have to – that’s the real truth. Gale is right. It is the Capitol that is wrong. ← Guest Post…Are Book Covers and Blurbs Really Important? Wow, captured her completely! I love it! Oh, wow. That’s so good! And really makes me want to go read the beginning again to get Katniss’ perspective. Awww! Now I wish I can read more of her diary!